My son Elliot, who is 16, is working with a charity called Operation Wallacea. Operation Wallacea is a network of academics from European and North American universities, who design and implement biodiversity and conservation management research programmes. Over the next year Elliot and 17 other 16 and 17 year olds from his school aim to raise £2,600 each for the charity and in May next year they will travel to Mexico to work with conservation biologists in two areas to survey local flora and fauna. The aim is to gather data which will enable the scientists to gain UN funding to secure the future of endangered ecosystems. I am very keen to support the work of this charity both in the valuable work they do to preserve endangered species but also in the work to raise the awareness of environmental issues in young people and the opportunities they offer to get involved. 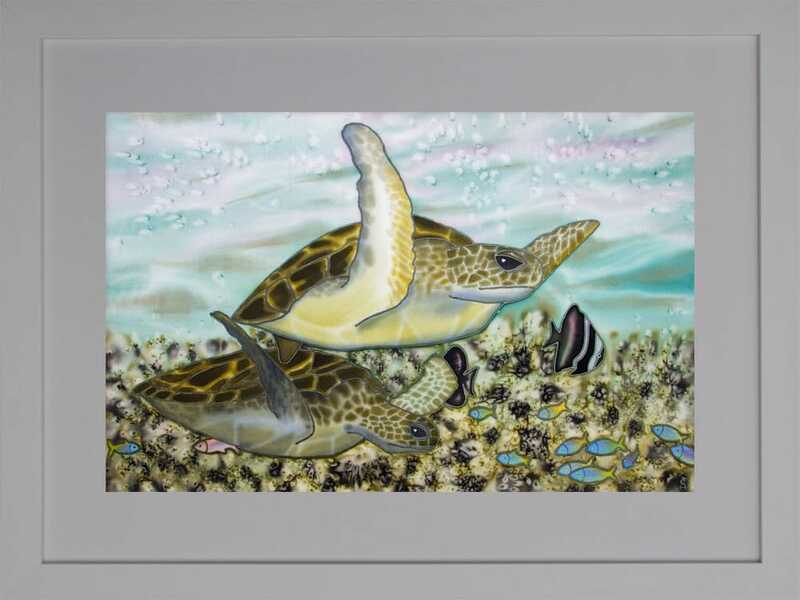 With this in mind I have painted this picture of Sea Turtles (one of the species that the students will be working with next year) which will be raffled at Art on the Street on the 13th June 2015. Tickets will be priced at £2 each and all proceeds will go to Operation Wallacea. I am also selling limited edition prints of the painting. These are priced at £35 for a 30 x 40 cm mounted print and £55 for a 40 x 50 cm. All proceeds from the sale of prints will go to the charity. Please click here if you would like to purchase a print. My son selling raffle tickets!! If you would like to enter the raffle but won’t be able to make it on the day, please get in touch – contact me.